This gun is what we call the Rolls Royce of heat guns. Also known as the Leister Triac S or Raychem CV1981 Mk2. 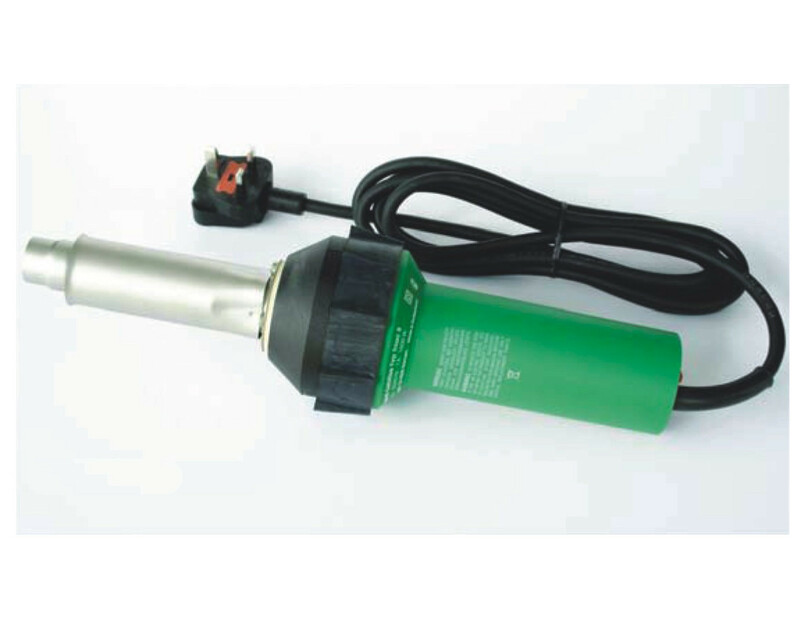 The gun is a perfect Heavy Duty Hot Air Hand Tool for high quality work. Used for installing dual wall or single wall tubing up to three inches in diameter and for installing SolderSleeve devices. Supplied with Yellow transformer plug. Also used in a variety of applications including heat shrink tubing, plastic fabrication, roof membrane welding, welding fabrics, vehicle fairing repairs and more! The Triac S is the preferred hand tool for high quality results every time. This gun is reliable, cost-effective and proven hand tool with steplessly controlled temperature range 24/7. Available in different voltages, please contact a member of our sales team for further information. Can be used to Ignite wood chips, paper, coal or straw in furnaces. Integral stand that allows use as bench tool. Easy fixturing for dual opposing heating.